A game of magnetism and other electromagnetic powers. Is there a better alternative to Teslagrad? 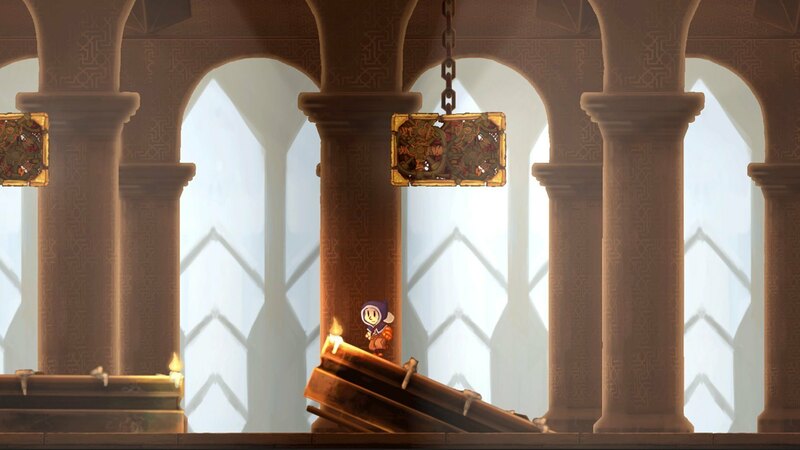 Is Teslagrad really the best app in Action category? Will Teslagrad work good on macOS 10.13.4? Version 1.0: Release notes were unavailable when this listing was updated. Note: 4.2.1f4 is the version number reported in Finder; it is a reflection of the app's Unity Player runtime version. The developer refers to this version of the app as 1.0. Teslagrad needs a review. Be the first to review this app and get the discussion started! Teslagrad needs a rating. Be the first to rate this app and get the discussion started! Teslagrad is a 2D puzzle platformer with action elements, where magnetism and other electromagnetic powers are the key to go throughout the game, and thereby discover the secrets kept in the long abandoned Tesla Tower. Gain new abilities to explore a non-linear world with more than 100 beautiful hand-drawn environments, in a steampunk-inspired vision of old Europe. You play as a young boy who suddenly finds himself embroiled in a long-forgotten conspiracy, involving the despotic king who has ruled the nation with an iron fist for several years. Jump into an outstanding adventure told through voiceless storytelling, writing your own part. Armed with ancient Teslamancer technology and your own ingenuity and creativity, your path lies through the decrepit Tesla Tower and beyond. Complex puzzles! Put your sense of logic to the test and cleverly manipulate the world around you using electricity and magnetism, the lifeblood of the game. Puzzles will range from "pff, that wasn't so bad" to keyboard-smashing, controller-chewing frustration. Explore! Make your way through rich 2D hand-drawn surroundings as you journey into -- and beyond -- Tesla Tower, picking up use amazing new items as you go. Visual storytelling! Tired of all those words in your video games? Have no fear, Teslagrad features not a single snippet of text or squeak of dialogue. Everything is purely visual, and the entire story is told through what you see (and sometimes what you don't see). Steampunk powered! Discover a dystopic and mind-blowing rainy-and-brainy setting, presenting a steampunk vision of an old Europe-inspired new world. Old-school boss fights! Use your skills and wits to overcome the 5 incredible final bosses eager to demagnetize you. No disruptions! That means no loading screens, no GUI, no cutscenes. Just the game and you. Mesmerizing soundtrack! Awesome mix of classical orchestra, with a touch of Russian inspiration and a myriad of metal bits and electrical stuff.